CarGurus has 33,412 nationwide CX-5 listings starting at $6,990. Hoping to inject new spark into the crossover market, Mazda has unveiled its 2013 CX-5. The first production model to be inspired by the new design theme KODO—Soul of Motion—the CX-5 is the shape of things to come. Aimed at young couples or new families who don’t want the stigma or sticker price of an SUV but still need the space, it’s attractive, sporty and fun to drive. This is also the first Mazda to use Skyactiv Technology, which “reimagines every component from the ground up to work together in unprecedented harmony,” according to the website. For one thing, this has meant a lighter vehicle (300 pounds less than the CX-7), a more powerful engine and better fuel performance. The CX-5 has 3 levels of trim, which all boast the same 2.0-liter 4-cylinder engine with 155 hp and 150 lb-ft of torque. The Sport has a 6-speed manual transmission (an automatic is optional), front-wheel drive (AWD is optional) and 17-inch aluminum wheels; the Touring gets the automatic transmission standard, Bluetooth, fog lamps and a rear-view camera; the Grand Touring tops it all off with 19-inch wheels, leather-trimmed seats and heated outside mirrors. There are complaints that the manual transmission is not available with AWD. All models come standard with AM/FM/MP3 capabilities and a USB audio port, but Bluetooth is available only as an option. Inside is Spartan and roomy, with a 40/20/40 folding rear seat that creates a handy space for bigger items, yet still retains 2 comfortable rear seats. The dash emulates a sports car with big, bright, simple gages. The touchscreen system, designed with TomTom, is hassle-free and easy-to-use. In action, the CX-5 handles exceptionally well, with the Sport being the favorite, due to its manual transmission option. The engine tends to be a bit noisy when juicing the RPMs, and some have complained that the low torque means there’s not enough gusto in the hills or for passing, but overall it’s a solid drive experience. And since money is always an issue for young families, the CX-5 is easy on the price tag in the showroom as well as at the gas station. Mazda estimates 26 mpg city/35 hwy for a FWD manual, 26/32 for a FWD automatic and 25/31 for AWD. For this milestone, the EPA has awarded it best-in-class. Safety features include front seat airbags, side impact airbags and curtains, antilock brakes and dynamic stability control. 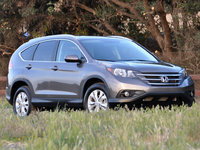 Blind-spot monitoring and a rear-view camera are standard for the Touring and Grand Touring. Mazda is using the CX-5 to showcase its new direction in drive philosophy and technology. From all angles, it is looking good. 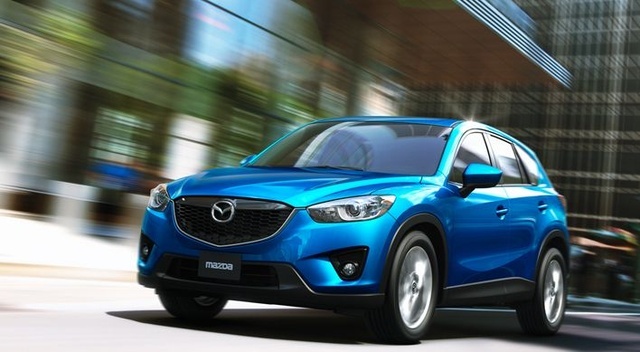 What's your take on the 2013 Mazda CX-5? 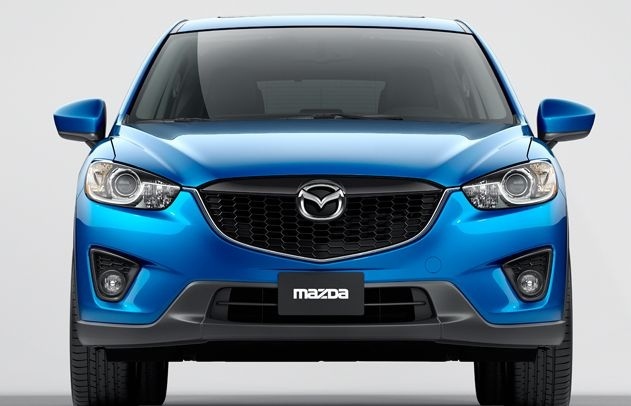 Users ranked 2013 Mazda CX-5 against other cars which they drove/owned. Each ranking was based on 9 categories. Here is the summary of top rankings. 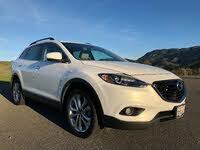 Have you driven a 2013 Mazda CX-5?